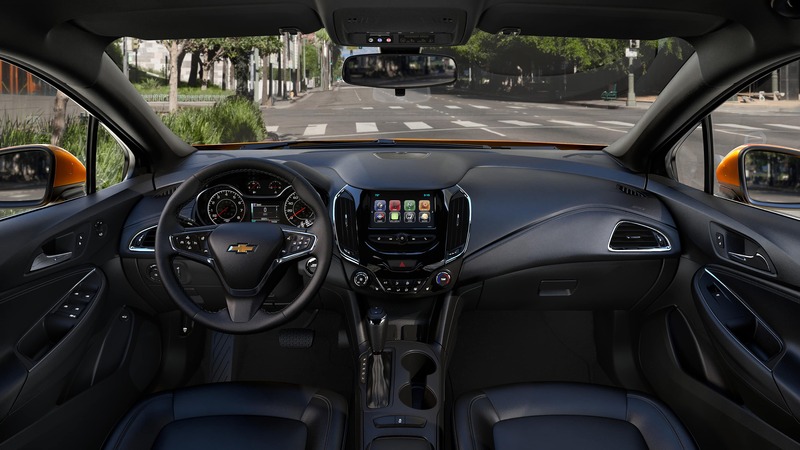 The current generation of the Chevrolet Cruze has been the American automaker’s decisive answer to the strong import entries in the compact sedan and hatchback class. With the full redesign in 2016, it became a fast, efficient and very technologically savvy vehicle for buyers who wanted upscale features and American quality in a car that could easily keep up with its foreign competitors. 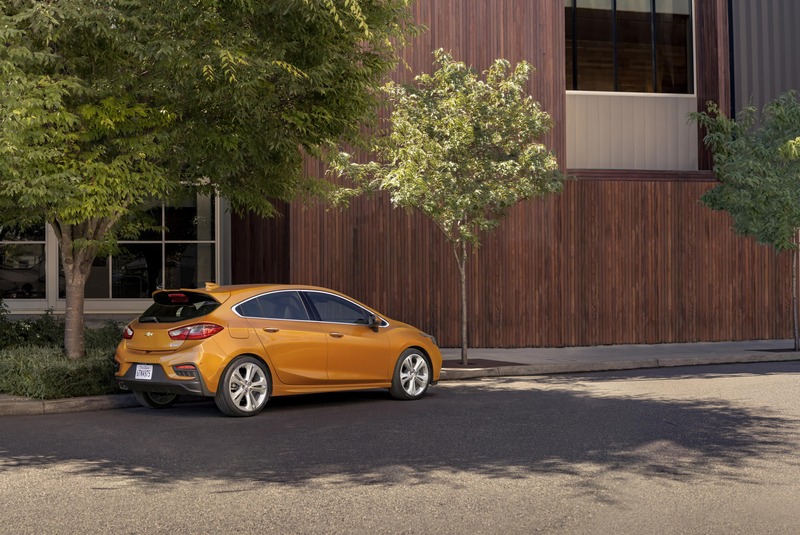 Less than a year, for the 2017 model year, the hatchback model entered the scene. Offering all of the excellent features of the sedan, it also featured more passenger and cargo room and versatility, making it a popular choice for many drivers. For 2018, the manufacturer has expanded the availability of different features and options, most notable adding the exciting and efficient turbo diesel engine to the hatchback lineup. We put together this review to give our Chicagoland readers a taste of the many great advantages that this mighty little Chevy brings. 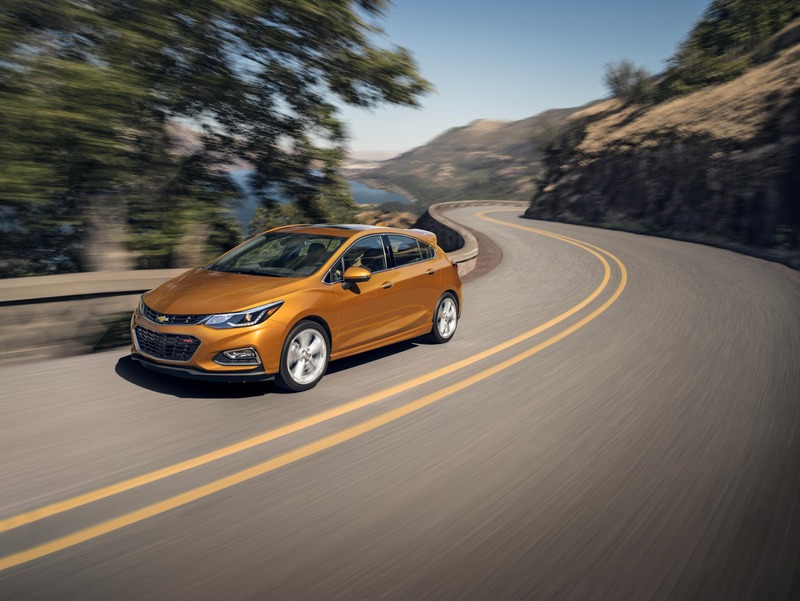 If you are curious to learn more about the 2018 Chevrolet Cruze Hatch in Chicago IL, call or visit our location serving Libertyville Chicago Illinois – Libertyville Chevrolet – and meet this great car face to face! Few compact cars are as good at drawing eyeballs as the 2018 Chevrolet Cruze Hatch in Chicago IL. 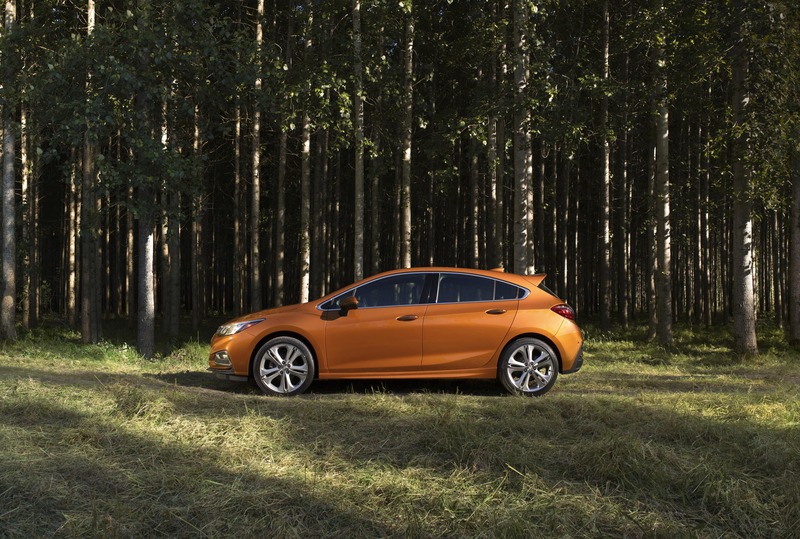 Chevy’s take on the traditional hatchback style is distinctive and thoroughly cutting-edge. Composed of many crisply folded straight lines, the front of the car seems to suggest at once a futuristic fighter jet and an expertly cut gemstone. The rear elevation, on the other hand, is fluid, rakish and flows beautifully into the rounded hatchback opening. The look is only made more stylish by the body kit on the performance RS model, which gives the car even more performance styling accents, such as a rear lip spoiler. All of the styling on this attractive hatchback makes it visually outstanding, making it the perfect car for anyone interested in making a splash with their arrival. 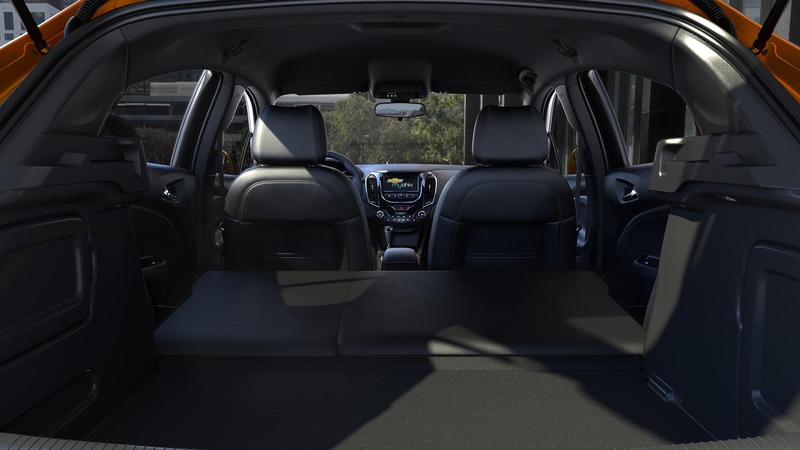 When it comes to the interior, the 2018 Chevrolet Cruze punches well above many of the other cars that it competes with. The materials and the design is a step above the average, putting it into the premium territory, especially on the higher end models that are equipped with richly colored leather. Soft touch materials are plentiful, and even those hard plastics that are present blend nicely into the overall design and have an attractive grain to them, showing attention to build quality. 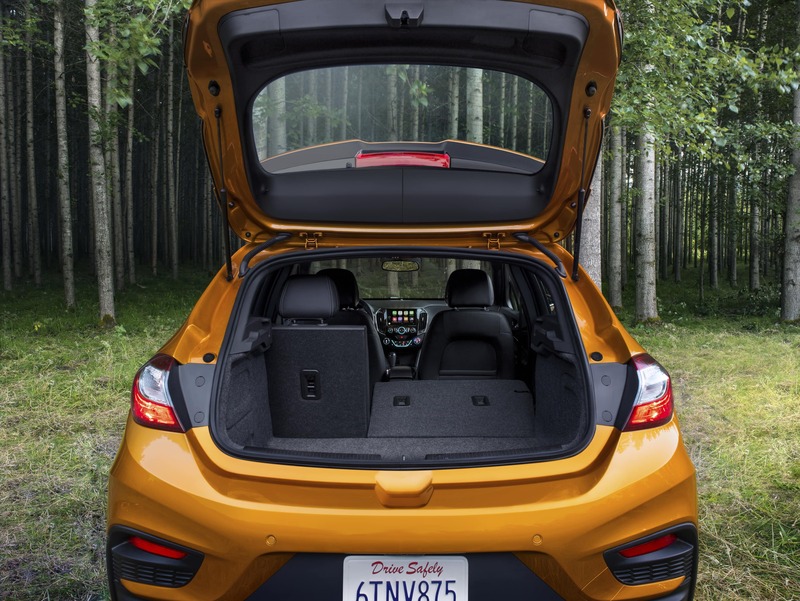 The technology is another standout feature of this hatchback’s interior. A 7-inch touchscreen with a crisp image, quick response and the intuitive MyLink infotainment software that comes preloaded with Android Auto and Apple CarPlay support. Optional technology features such as navigation or premium Bose audio can easily make this compact car feel like a luxury cruiser. 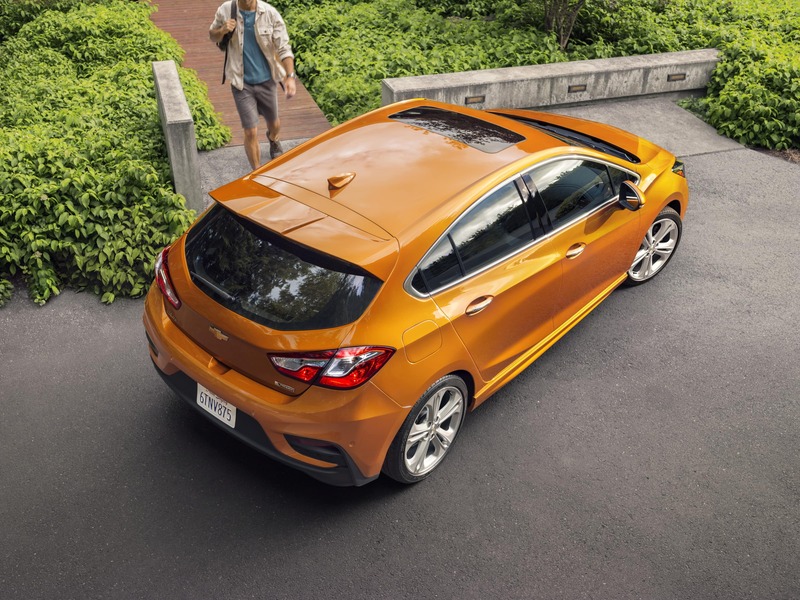 The mechanicals of the hatchback version of the 2018 Chevrolet Cruze Hatch in Chicago IL are optimized for a comfortable ride on both smooth highways and bumpy local roads, though enthusiasts will find the car behaving itself even during more exciting driving, especially when equipped with a few sporty options. Following the general theme of the car, the suspension feels like that of a compact luxury car, easily smoothing out road imperfection and serving up a quiet and composed ride. The steering is fully electric, but provides both precision and good feedback that make pointing the car in the right direction very easy. Drivers with a thirst for a bit more excitement can opt for the Redline or RS package will get a tighter suspension setup that gives the car a little bit more aggressive cornering, while still remaining nicely poised on the road. Curious about the difference between the two suspensions? 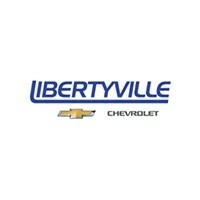 Just visit our Chicagoland dealer Libertyville Chevrolet and see which one suits your driving style better. This 2018 Cruze Hatchback review absolutely must mention the excellent new powertrain option offered this year. The standard 1.4-liter turbocharged engine that is available across the entire lineup is an outstanding option for many buyers, thanks to its great power, torque and fuel efficiency. With 153 horsepower and 177 pound-feet of torque, as well as a choice of a six-speed manual or automatic transmission, it easily fulfills most drivers’ needs. However, the new 1.6-liter turbo diesel engine, added to the options sheet last year but limited only to the sedan model, adds a new exciting option to the specification sheet. While it may only have 136 horsepower of output, it has much better off-the-line acceleration thanks to its 240 pound-feet of torque. That makes the turbo diesel an excellent choice for highway passing and other maneuvers that require getting power to the wheels quickly. If you enjoy high-torque driving, this configuration is perfect for you, especially thanks to the optional high-performance nine-speed transmission. This review would not be serving Libertyville Chicago Illinois fully if we did not mention this hatchback’s excellent safety record. It is well loaded out with safety gear, including such high-end pieces of equipment like automatic emergency braking and radar-based cruise control. Nor is it a slouch when it comes to impact resistance. It has a full five-star score from the National Highway Traffic Safety Administration, providing you with full protection in case the worst happens. This latest offering from Chevrolet is just one of the many great vehicles that we stock at our Chicagoland dealer serving Libertyville Chicago Illinois. So if you are after a new vehicle or just want to learn more about all of the great new models in our inventory, stop by or call Libertyville Chevrolet and find out all about what kind of great cars you can find with us!